No one wants to hear bad news. Especially if it’s a customer complaint. But what if you could stop customer complaints before they happen? All it actually takes is a little empathy and foresight. Customers complain when they feel frustrated, when they do something and it doesn’t turn out how they thought it would. Potentially frustrating scenarios are everywhere. You need to anticipate and eliminate these opportunities for frustration, so that your customers can discover, purchase, and enjoy your products without having problems. Most customer complaints are caused by a disconnect between expectation and reality. If you’ve gotten that question before, then you definitely understand the importance of being able to deliver your products safely and on time. Your customers put a lot of trust in you to get them their orders and if they feel uncertain about when their package is going to show up, the complaints will start rolling in. Offer order tracking whenever possible. If your customers can keep an eye on the progress of their order in real time, they’ll have a more clear understanding of when their order should arrive. Giving details like dimensions, materials, and sizing charts is a great way to accurately describe your products and give your customers a reasonable idea of what they should expect when placing an order. Another source for frustration is inaccurate product photography. Ordering a product and realizing that the texture or color is completely different once you take it out of the box is a terrible feeling and can lead to complaints, returns, and customers that never come back. Can your customers easily find you? Is your store a complete mess? Is it difficult for your customers to actually purchase your products? Keeping your website clean, organized, and easy to navigate is very important. To avoid annoying your customers, you need to put a mobile responsive website at the heart of your e-commerce strategy. Nearly one third of smartphone users will immediately navigate away from a website if it takes too long to load or they can’t find what they’re looking for right away. Load times in particular take a toll on your customers’ patience. According to Google, 40% of customers will abandon a website if it takes longer than three seconds to load. 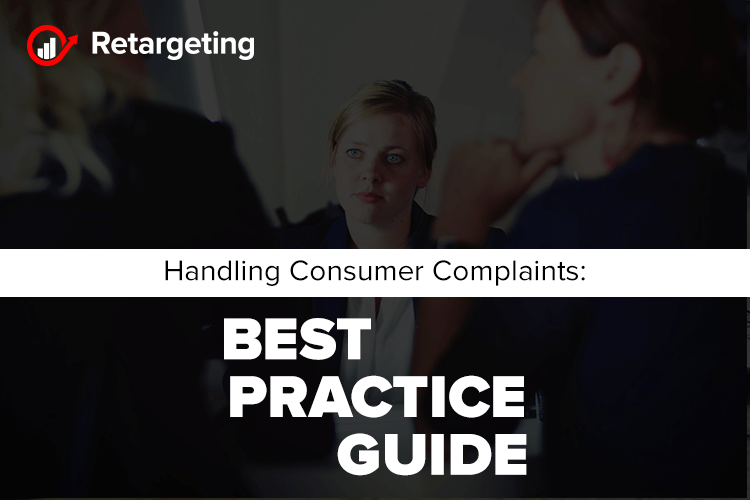 Despite your best efforts, you may still get customer complaints from time to time. See them as a chance to make your store better. Try to look past the negative feedback and uncover the lesson at the core of the complaint. Remember: If someone is complaining, it means they’re looking for a solution.